I have been metal detecting for two and a half years, half of this time with a Garrett AT Pro and the Garrett Pro Pointer AT (both purchased from Kellyco). I search mainly near my home outside Geneva, Switzerland - an area which has seen a lot of historical activity dating back to Roman days. In fact, the town which I live in, Nyon, was a roman settlement and is famous for its large castle dating back to the 1200s. 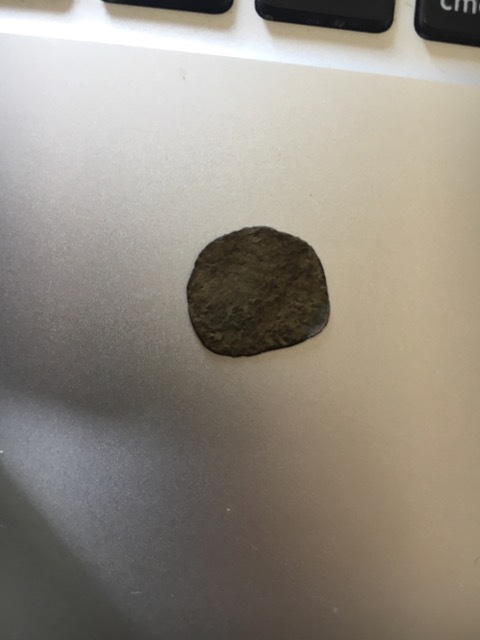 I spent many hours searching the fields and woods outside my town and found my coins dating back to the 18th century with most coming from the late 1800s. 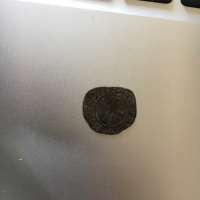 I had always wanted to find a really old coin, but could not seem to find anything older than the 1700s. 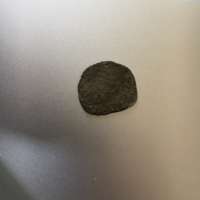 However, one day in May, I ventured into the woods outside my town where I had previously found a coin from 1754. I believe an old road went through the woods as I have found many old relics there. I worked my way up a small hill, finding modern junk and some iron bits and pieces. Then, I was walking down a steep slope when I got a signal in the mid 50s. I figured it would be some lead but when I dug down and inserted my Pro Pointer AT into the hole, I was greeted with roundness! I immediately knew the coin was old due to its misshapen appearance. 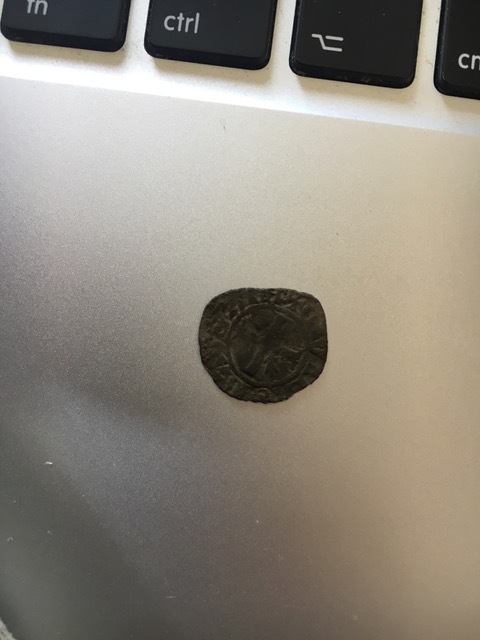 I pulled it out and noticed a cross on the front - this was when I knew it was medieval. I immediately headed home to clean this find and get all available information on it. 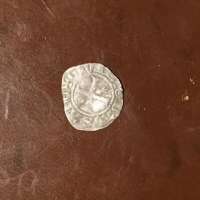 The coin had a very thick patina on it so I cleaned it with a baking soda solution. 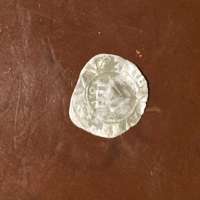 After cleaning it became evident that the coin was in remarkably good condition. I did the appropriate research on the internet and found that it is actually a Denier (cent) from the mid 1300s! 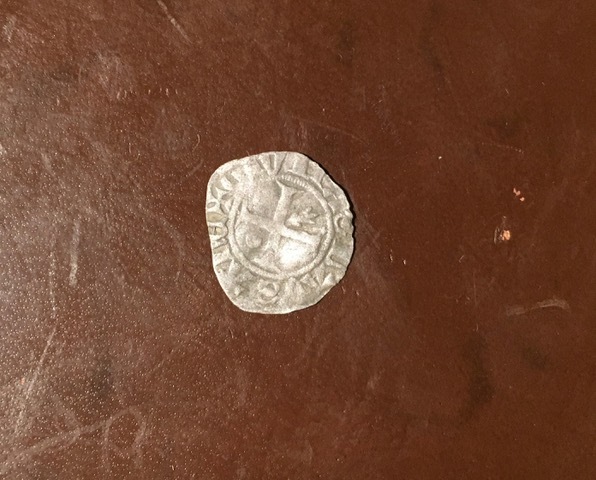 It was even minted in my town back then when the area was ruled by the duke of Savoy! I was shocked that such an amazing find was laying less than 2 inches under the surface. The coin is very rare, graded R7 which means there are only 4 to 12 coins like this in existence! This gem would likely be worth a large sum of money if sold although I would never want to part with it. The obverse displays a cross while the reverse shows a church. 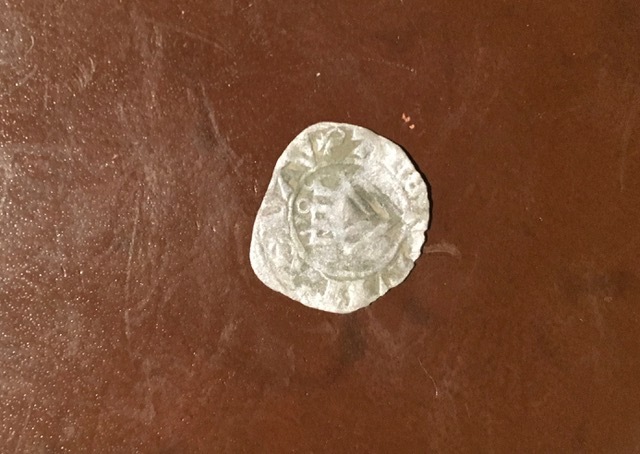 The coin is hammered, meaning it has been stuck with a hammer. This is definitely my best find so far. My friends at school thought it was amazing that such old things can be found mere kilometers from a large town. Although this find is spectacular, I hope to use my newfound inspiration to find even more amazing relics and coins! Steve is great. Had spent over a year looking at detectors before I bought. I decided to buy after talking to Steve. I don't think you can improve any more! I only wish, that everything I have ever purchased was this easy and fun. You folks are absolutely incredible! The absolute best customer service I have ever had. You now have a customer for life! Keep up the great work. I dont know how you can improve just keep up the good work, I bought from you back in 1982. The first time was just as good as good. Thanks!